|┃≡ ∧ ,,∧ ＜ ﾁｮｯﾊﾟﾘ! は、話があるニダ!! 独島 is the soul of Korea. 大韓民国万歳! 韓日友好! 外地朝鮮人女子学生には女子挺身勤労令(1944年8月,12歳〜40歳の日本内地の未婚女性にも勤労奉仕)は適用されなかったので,正規の朝鮮女子勤労挺身隊員だったなどとは有り得ず, 現地朝鮮の国民学校が各々, 日本語の読み書きが出来る希望者を募集して,研修を兼ねた 自発的朝鮮版なんちゃって女子勤労奉仕団だった. いずれも 学業免除の代わりの”無償労働”での勤労奉仕で, 往復渡航船や寮での食事や布団や風呂はきちんと提供され, 終戦とともに教師に引率されて全員帰国した. Takeshima is indisputably an inherent part of the territory of Japan, in light of historical facts and based on international law. 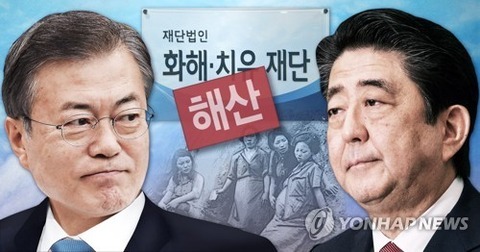 The Republic of Korea has been occupying Takeshima with no basis in international law. Any measures the Republic of Korea takes regarding Takeshima based on such an illegal occupation have no legal justification. Japan will continue to seek the settlement of the dispute of the territorial sovereignty over Takeshima on the basis of international law in a calm and peaceful manner. Note: The Republic of Korea has never demonstrated any clear basis for its claims that it had effective control over Takeshima prior to Japan’s effective control over Takeshima and reaffirmation of its territorial sovereignty in 1905.